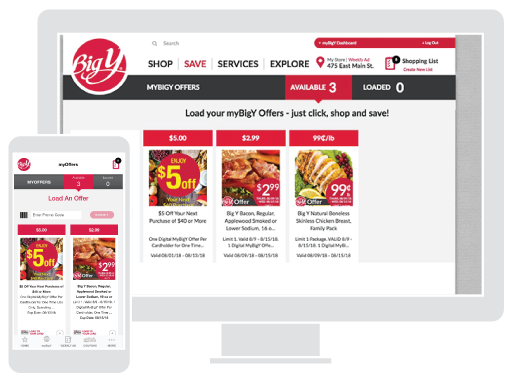 Log In or create a new myBigY Digital account and enjoy a seamless Web and App experience that's customized for you. Don't Want to Carry a Card Around? 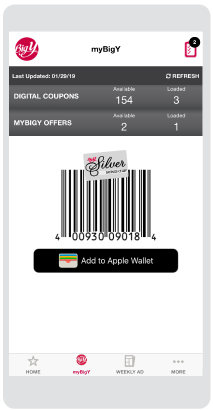 Access your Digital Card from the myBigY Dashboard on Mobile Web and the myBigY App. 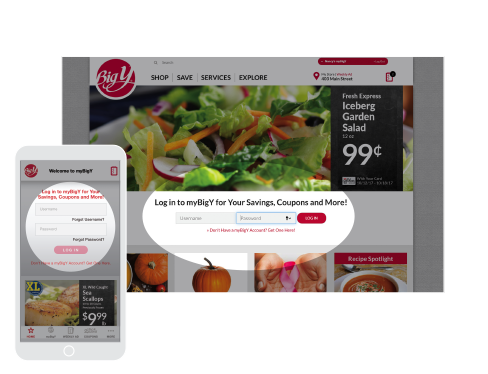 Save with Personalized Offers, exclusively for you! Check Your Digital Dashboard by clicking on your name at the top of your screen to Load Your myBigY Offers Right to Your Card. 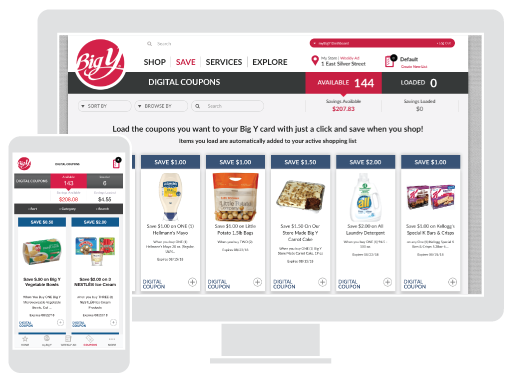 Use Your Personal Dashboard to get Digital Coupons from our Manufacturers for even more Savings. Load them to your Card before you shop. 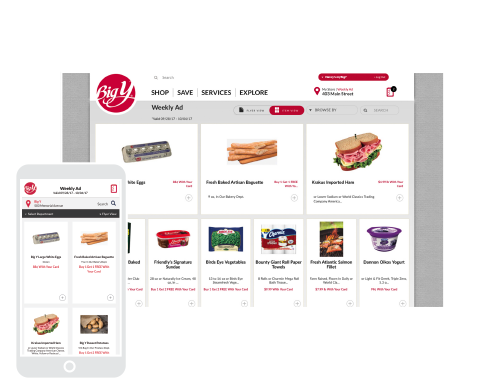 Receive customized Weekly Ad Items served up just for you. 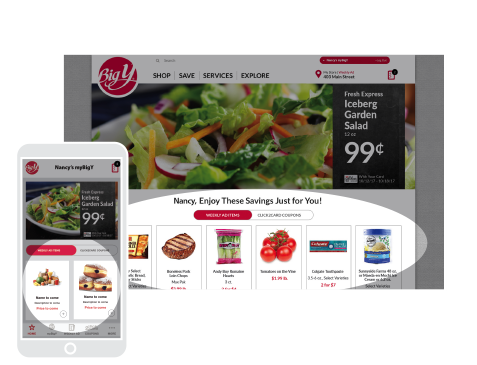 Shop the weekly ad by Flyer view or item view, plus, create and manage multiple Digital Shopping Lists. There's so much to explore. 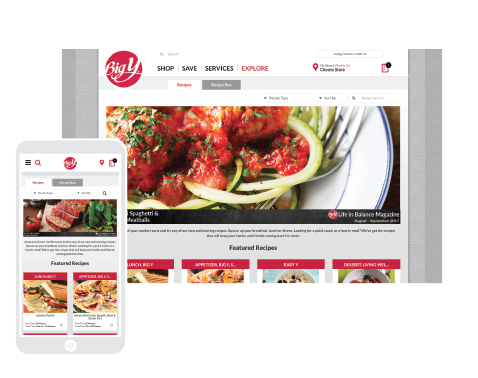 Search and save recipes, follow meal plans, view magazines, nutritional articles and more.